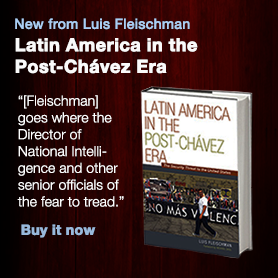 Whether liked or despised, Venezuelan president, Hugo Chavez was a transformative figure. During his fourteen years in power he changed Venezuela from a poor country with democratic institutions, a rule of law and freedom of the press to an even poorer country with a quasi-dictatorship, no rule of law and no freedom of the press. Unlike his soul mates, the Castro brothers in Cuba, Chavez was able to use his country’s vast oil wealth to spread his Bolivarian revolution to other countries in Latin America by influencing their elections and building loyalty amongst segments of their populations. As a result, Ecuador, Bolivia and Nicaragua are firmly in the Chavez camp with Argentina now strongly leaning in that direction. His revolution had two other noted components: his strong hatred for and desire to counter the influence of the United States led to his forming strong alliances with Iran, Russia and China. All three countries now have a strong presence in the Hemisphere. Moreover, Chavez’s tight connection and support of the drug cartel and narco-terrorist group known as the FARC led to Venezuela becoming a huge trans-shipment hub for drugs being transported into Africa, Europe and the United States. The drug business not only brought significant amounts of crime to Venezuela but coupled criminal and terrorist elements. Even though Chavez is no longer living, his chosen successor, Nicolas Maduro, the newly elected Venezuelan president will try his best, perhaps helped by the many Cuban operatives now in Venezuela, to further the revolution. 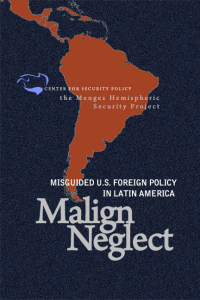 These developments have had significant repercussions and provide both challenges and opportunities for the region and for the United States. Our distinguished speakers will discuss all aspects of Chavismo without Chavez and what lies ahead. Update your e-mail preferences with the Center for Security Policy.